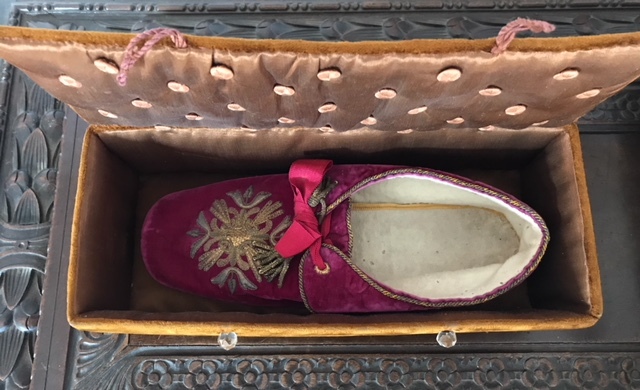 This papal slipper is displayed in a decorative box made by nuns. The inside is lined in silk with two small, button enclosures. It has his coat of arms sewn on the cover. The care with which the slipper was stored is an indication of its value to the original owner. 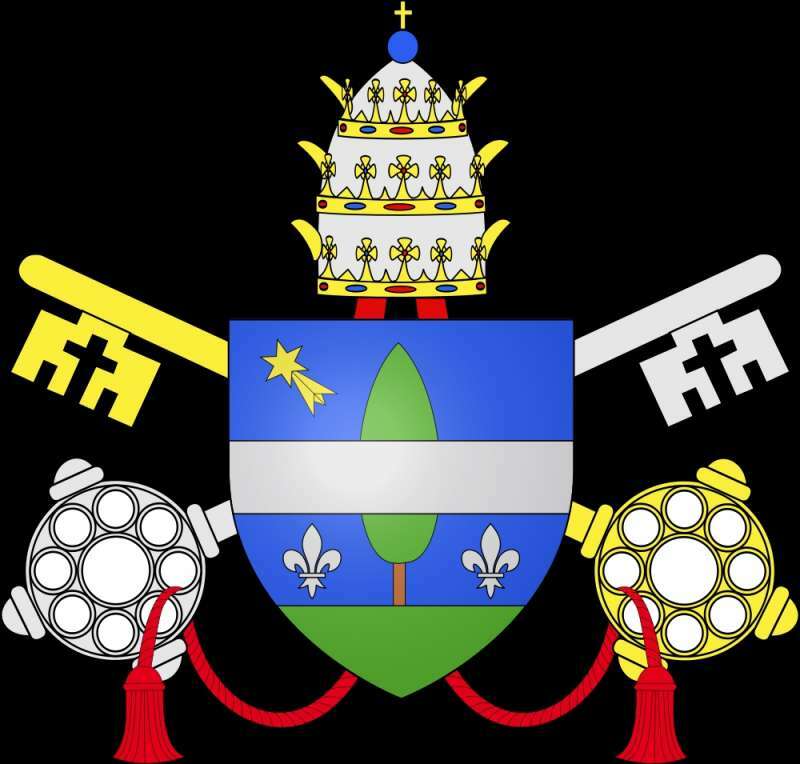 It is a lovely addition to the Collection of artifacts belonging to or associated with Pope Leo XIII.